Plus a full slate of convention appearances this year are announced, and an all-new Kickstarter project is coming in February! of Gravity Matters, Major Holmes & Captain Watson, and much more. I’m really excited to start presenting these books to the public, and hope a ton of you can come by! 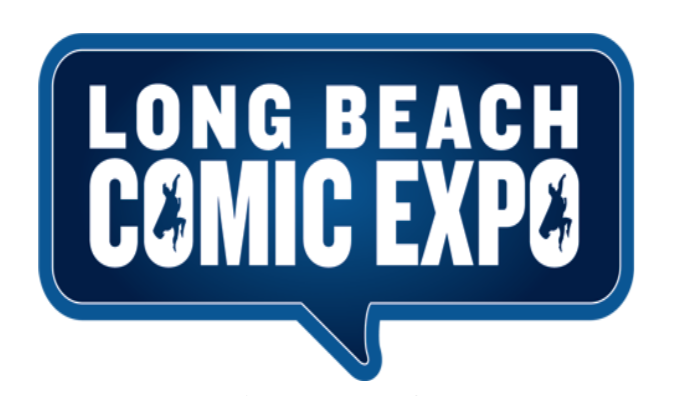 Long Beach puts on a great set of conventions every year, and this really feels like the first big event of Con season, so come by and say hello! I’d love to see y’all! his year, but there will be a few far-off destinations as well! Below are just SOME of the places I’m confirmed to be, and I’ll have plenty of offerings from Cloudwrangler Comics in tow! Come by, say hello, find something new or pick up a favorite, I’d love to see you and talk about comics! Take a look at just some of the images from the upcoming book The Arcane Cocktail Enthusiast #1! Lark Laraar is the activist owner of the hottest cocktail bar in San Francisco, but a new employee just learned her deepest secret: she’s also a sorceress whose drinks are literally magic! It’s a world (actually, several worlds!) filled with magic, monsters, and some killer cocktails! This is a story many years and many drinks in the making, and we can’t wait to share it with y’all! Stay tuned for details on the Kickstarter campaign coming in February, and look for the book itself in May-June from Cloudwrangler Comics! 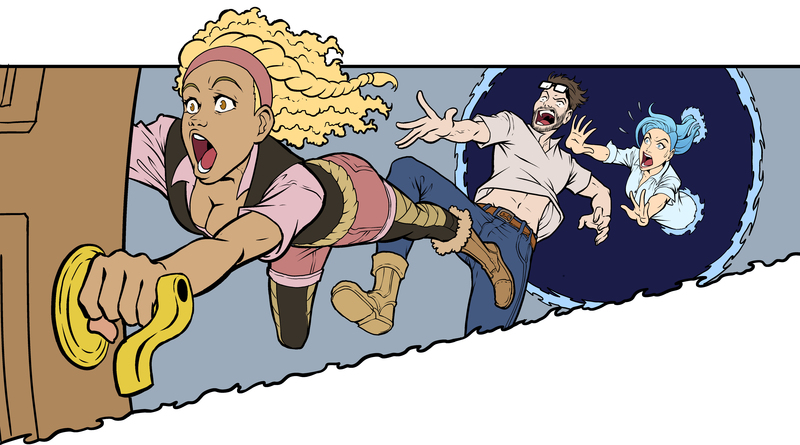 Davide would want me to tell y’all these are works in progress, mostly just flatted color work. But they are already amazing, so just wait until you see the finished product! 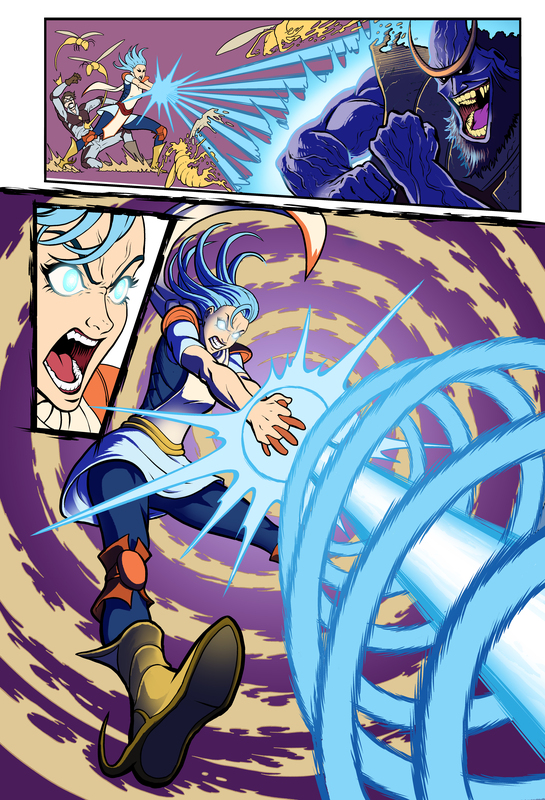 Previous post Gravity Matters: Blackline debuts here and at ComiXology! Next post It’s Comic Con Season!